Christmas is possibly my favourite time of year. For me it all kicks off around mid-November with a visit to the Chatsworth Christmas Markets. We all pile into a car (including the dogs) and take the scenic route into the Peak District. We always start our day out either touring the house or exploring the estate. The house is themed differently each Christmas and this year's theme is Great Expectations. Where we stopped for a while to enjoy the view. This is the last of the posts from my American Road Trip. I'm sad not to have an excuse to relive the memories but I'm excited to plan some fresh content! 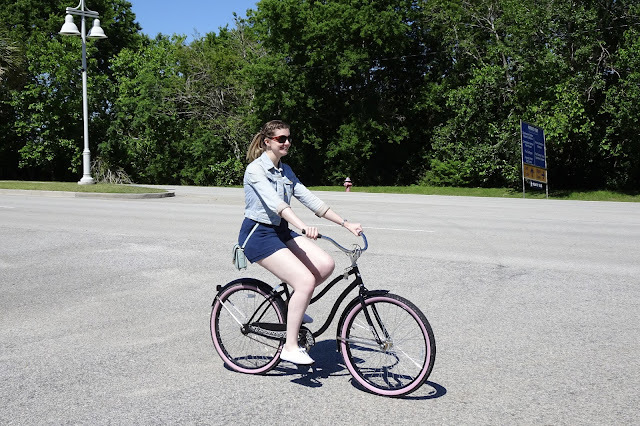 Charleston is a cyclists city and thankfully our hotel included bicycle hire in our resort fee (most places do this but it's still a good idea to check). So we borrowed a couple and headed out to the coast. We passed by the picturesque Shem Creek en the way and were drawn back here for a last meal before heading for the airport. I am just going to say it... I think Charleston is possibly the prettiest city I have ever visited. Not to mention the most warm and welcoming. It really showed us some amazing southern hospitality. We only stayed a couple of nights, but I could easily live here. On our first evening we arrived starving after a long, long drive. I had heard wonderful things about Magnolias but sadly they couldn't squeeze us in. So here is my hot tip: head next door to it's sister restaurant Blossom. Which is every bit as good and much less crowded. For shopping; you can't beat King Street, but the market hall was fun to wander through and we also found a fun farmers market on the square (held once a month). 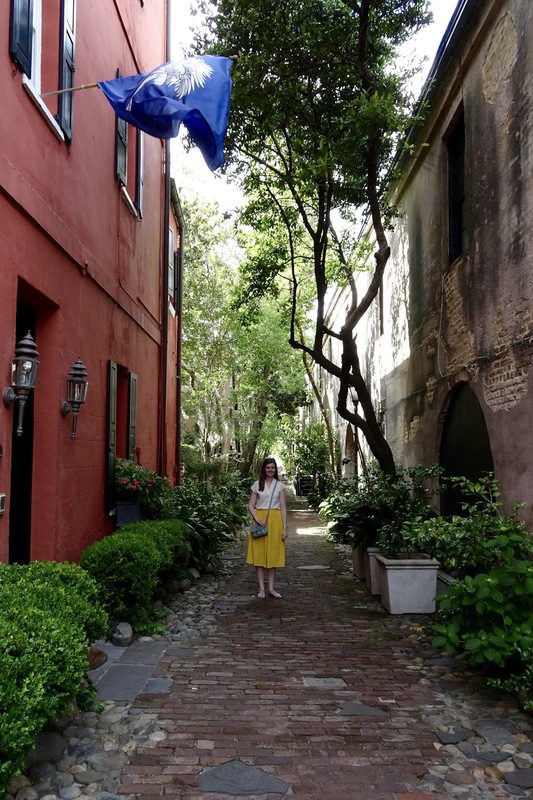 Mostly though, I spent my time in Charleston drooling over dream houses and other pretty places. Oh, and if you want to splash out on a fancy dinner - try this place. I celebrated by birthday with a Bison steak which I am still talking about now.